These revolutionary high power LED PAR cans feature Quad RGBW colour mixing technology which offers a huge variation of colours, from rich single colours to pastel shades, that tri-colour LEDs cannot offer. The additional white LED allows you to adjust the colour temperature from cool to warm white which is ideal for a permanent fixture on a stage. 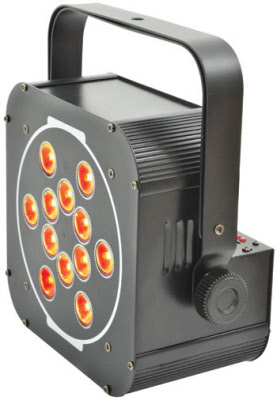 Operated by either the 7-channel DMX or the inbuilt programs (sound-to-light, auto colour fade or static colour).